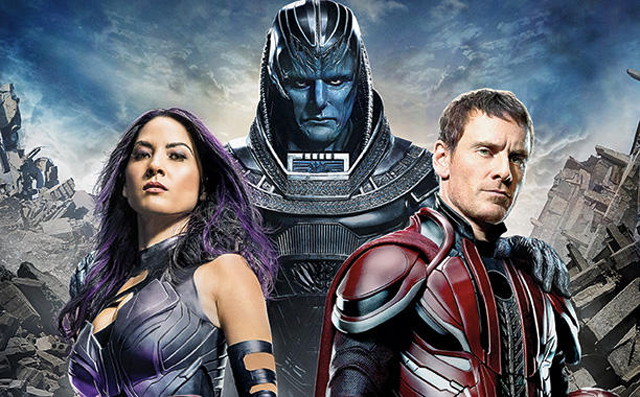 Compared to the Marvel Studios films, FOX’s X-Men films are a breeze to sit through. Ranging from an hour and forty five minutes to two hours and fifteen minutes, even the worst of these films (*cough* X3 *cough*) flies by in a marathon viewing session. But Bryan Singer might be trying to test how long audiences can go without a bathroom break with his wrap-up to the now rebooted franchise, X-Men: Apocalypse. The cut’s a little long right now, but I think it’s going to be a longer X-Men movie. The X-Men movies I usually I keep under two hours, but this one I may actually let be a longer movie because it’s sort of a wrap-up of six movies. It’s kind of a wrap up of X-Men 1, 2, 3, First Class, Days of Future Past, and there’s even an homage at the end, a scene. It’s going to get spoiled because they decided to use it in the trailer which comes out in like six months, but it’s a really cool trailer. But it’s kind of a wrap up of six movies. So, it might run a little bit long. I’m all for a longer flick, especially if it’s Singer’s swansong to the mutant universe. And with a world-breaking villain like Apocalypse, the X-Men need all the time they can get to make sure the bad guy is put away once and for all. So just make sure you pick a theater with really comfy seats when X-Men: Apocalypse hits theaters on May 27, 2016 – you might be there for a while! AMAZING! Check Out The Trailer for ‘A Very Murray Christmas’ Starring Bill Murray and an All-Star Cast!